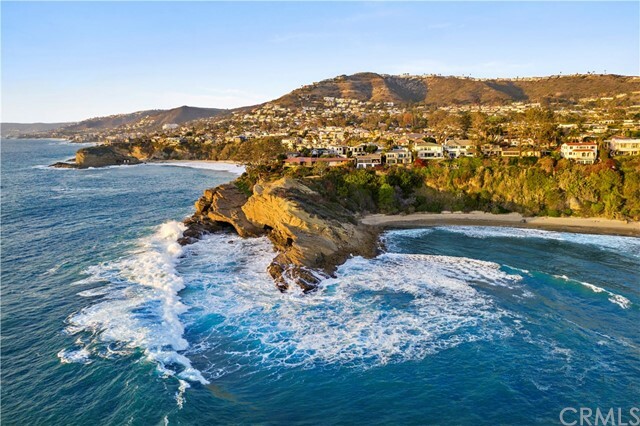 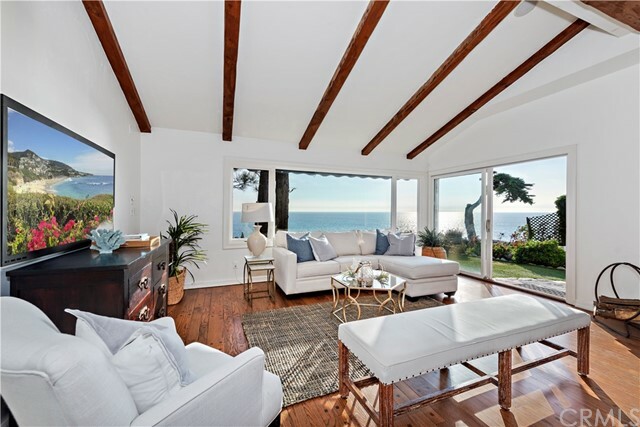 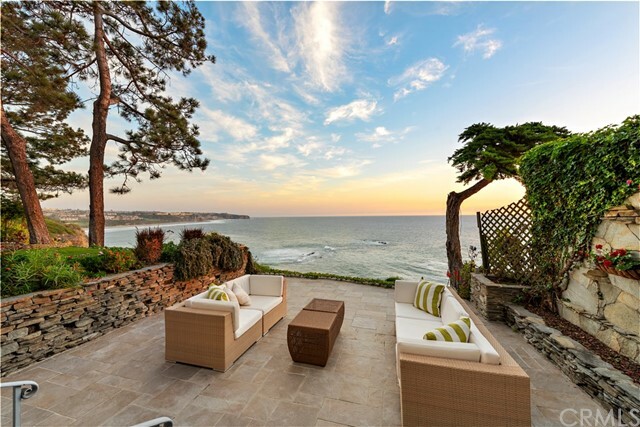 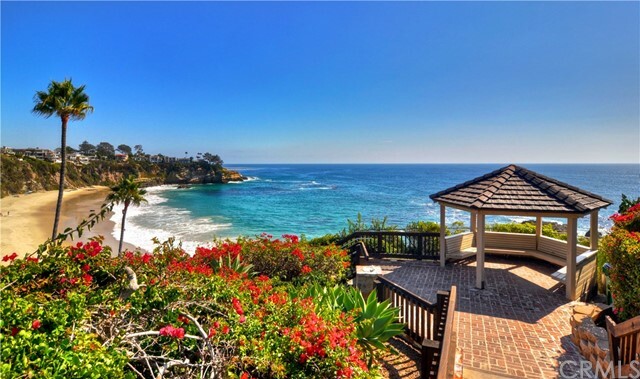 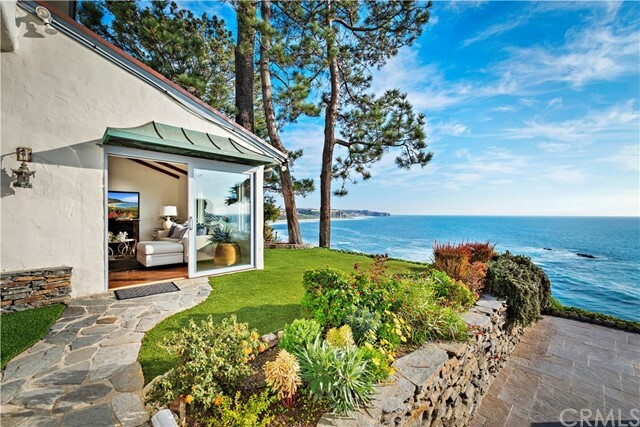 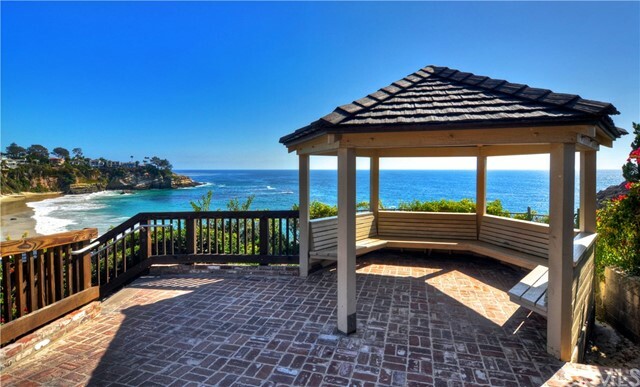 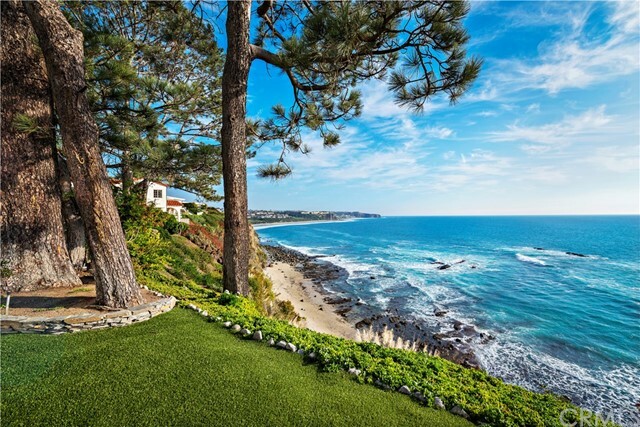 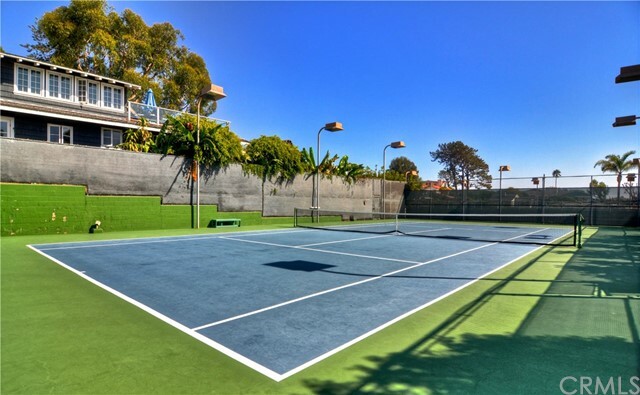 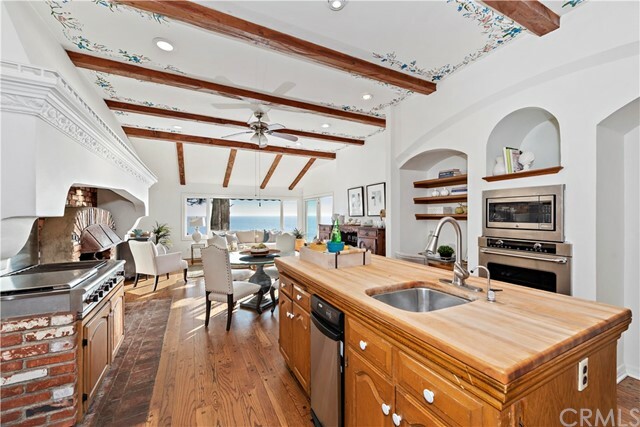 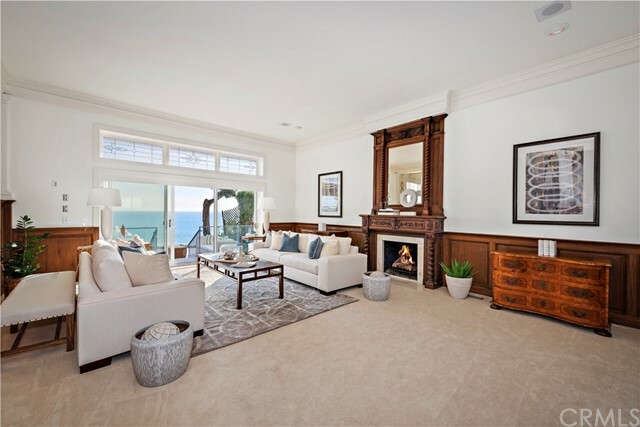 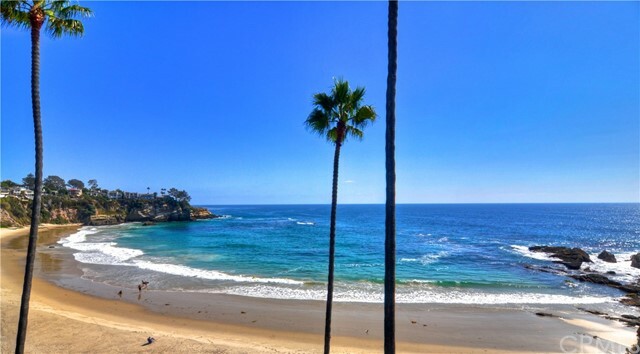 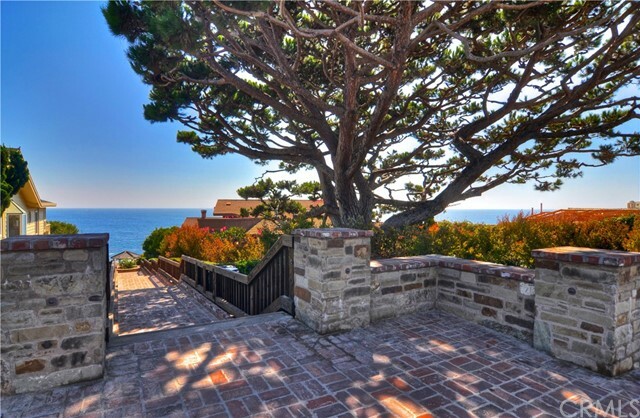 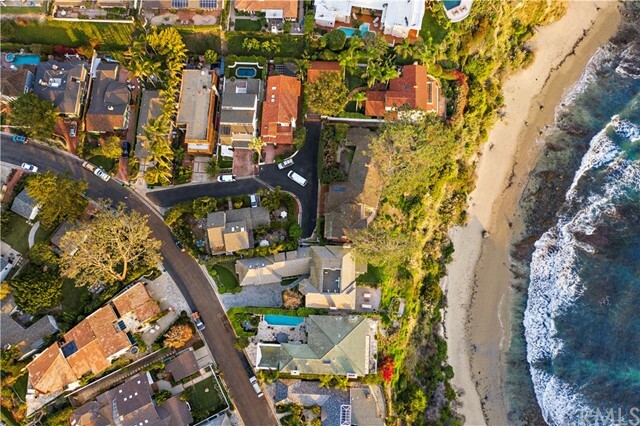 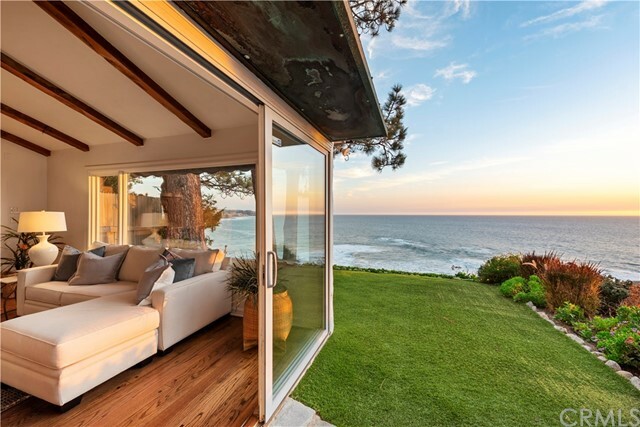 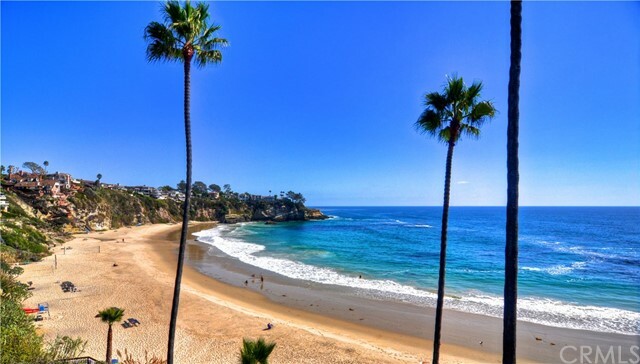 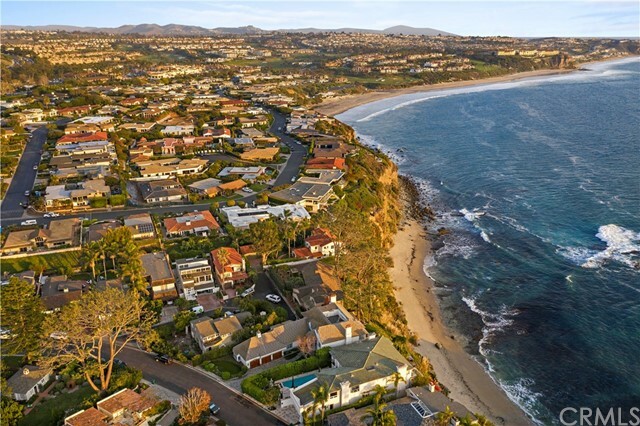 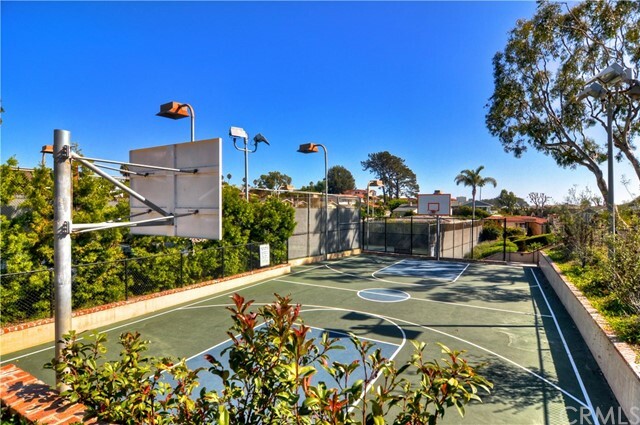 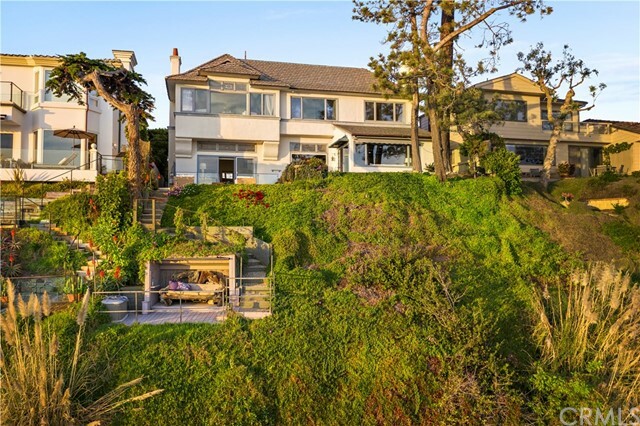 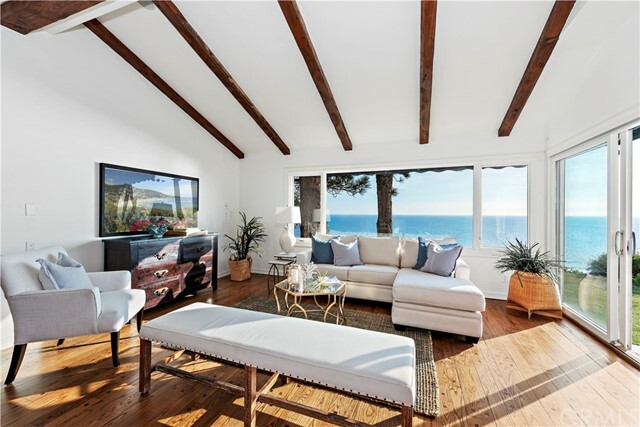 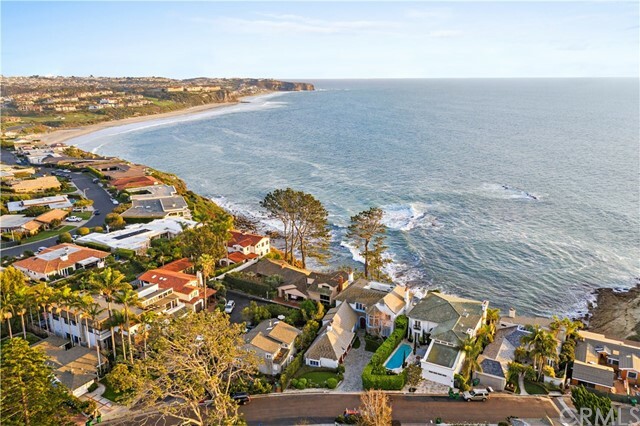 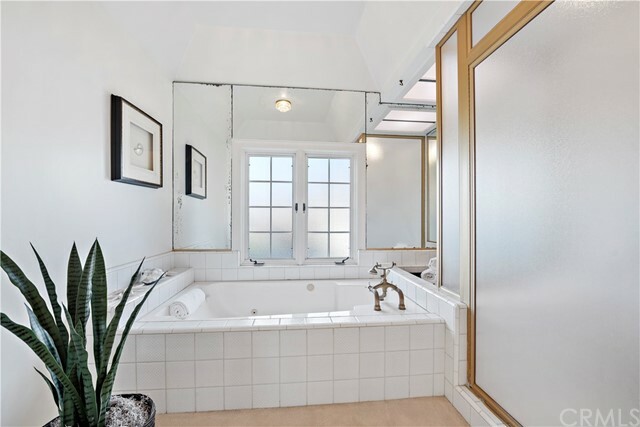 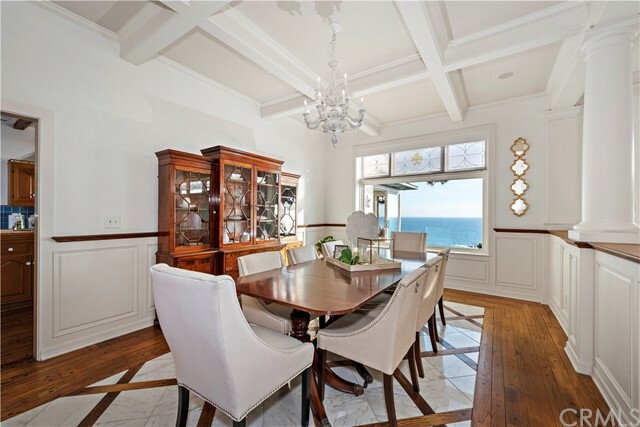 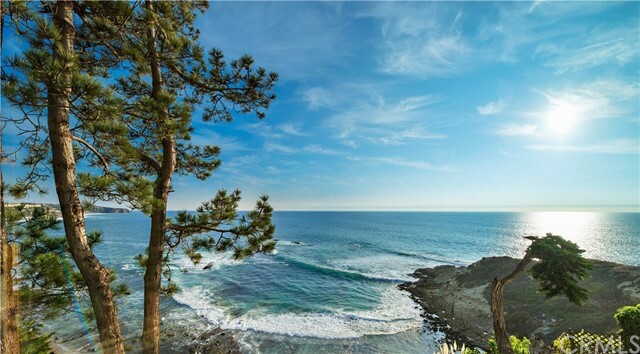 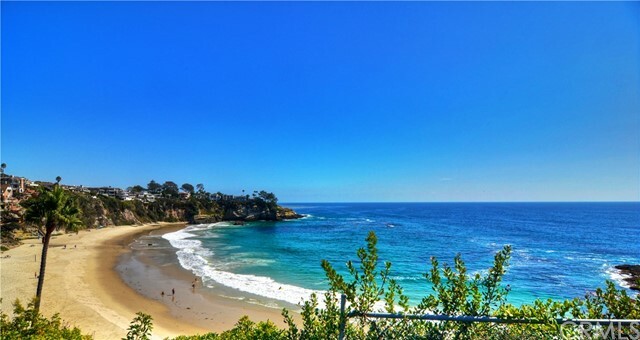 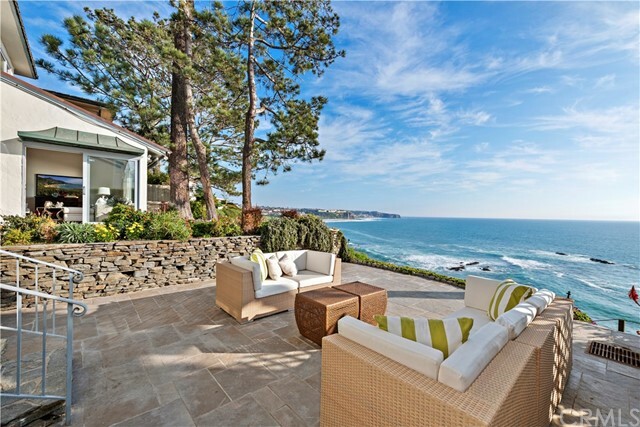 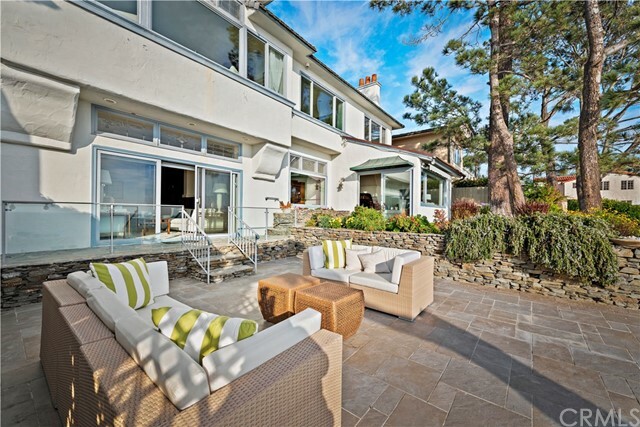 Prepare to breathe a big sigh as you walk through this delightful, oceanfront home and experience the expansive beach, water and coastline views. 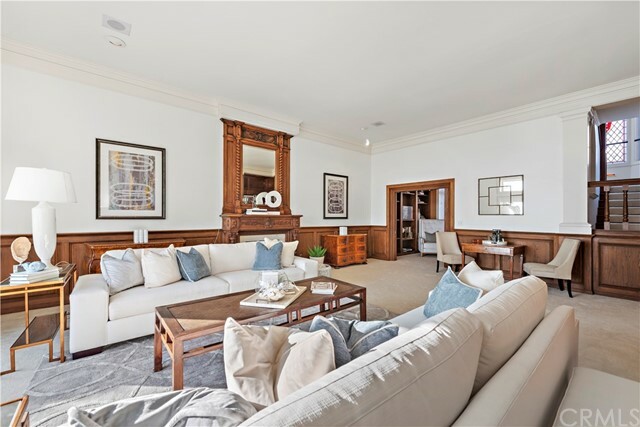 This is a truly special property, with a comfortable, yet grand feel with sky high ceilings, detailed wood work, including peg and groove flooring on the main level. 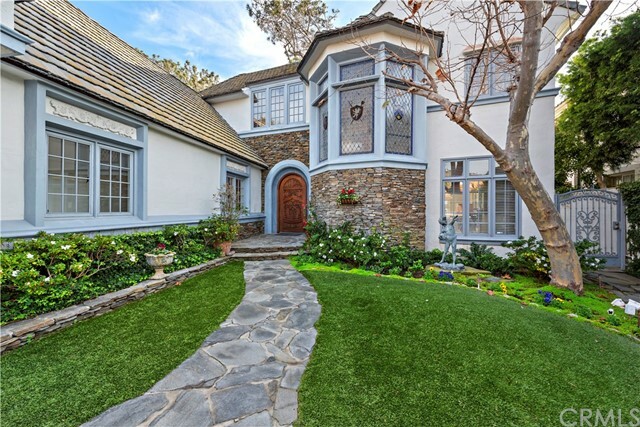 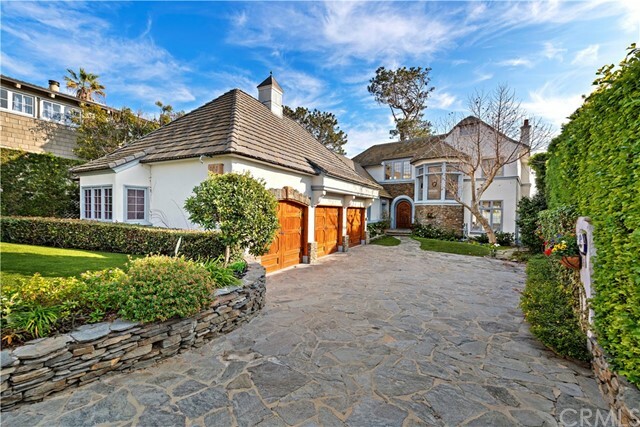 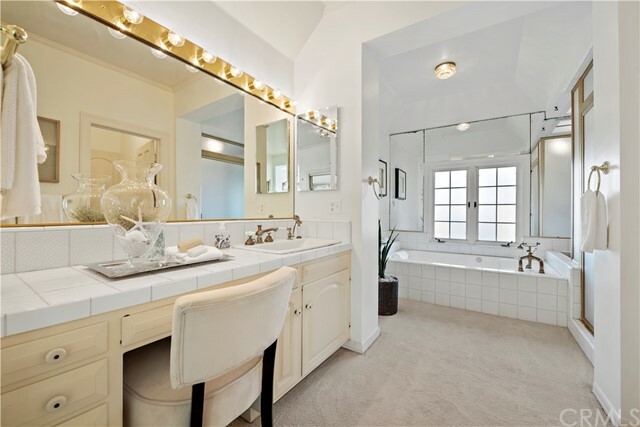 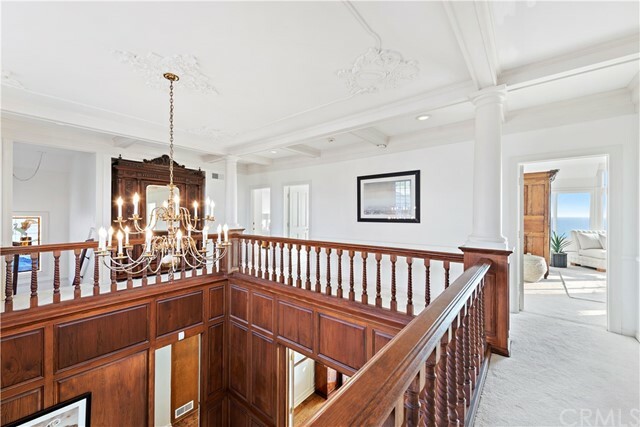 Enter the home through the square shaped foyer with 2 story, chandelier ceiling. 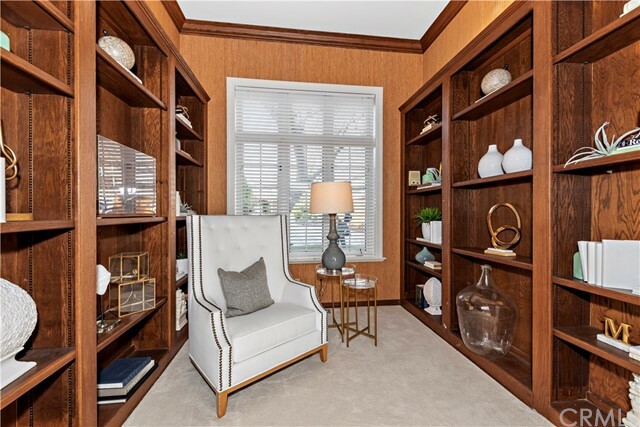 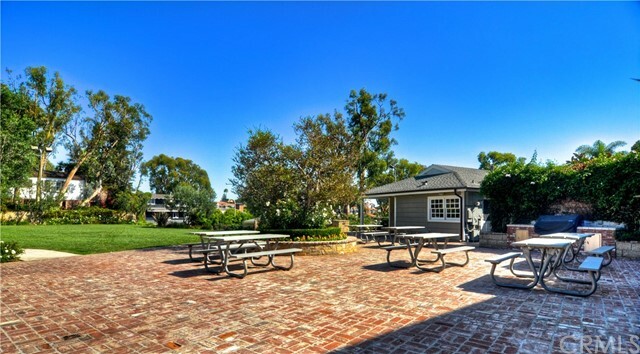 The spacious living room has a large fireplace and adjacent den/study/office alcove with custom built-ins. 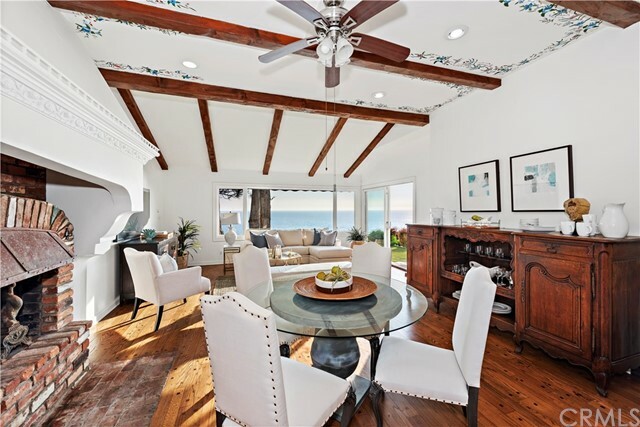 Exit onto the adjacent spacious patio space, perfect for entertaining, relaxing and gazing out onto the ocean, and also offers privacy. 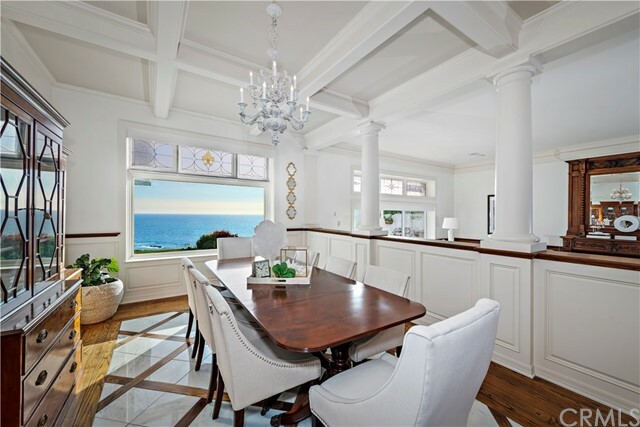 The formal dining room is open to the living area and includes, custom, traditional marble detail flooring extending from the entry foyer. 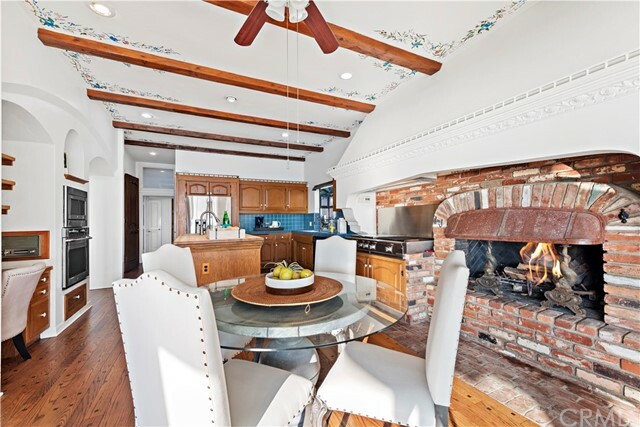 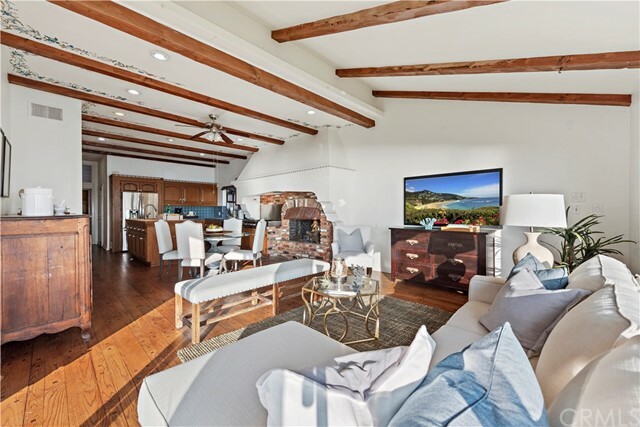 The kitchen/great room is inviting and cozy feeling, featuring a giant fireplace hearth, kitchen butcher block island, walk-in pantry, space for dining table, seated living space, and with over-sized windows and slider door to enjoy the outdoor patio space and views. 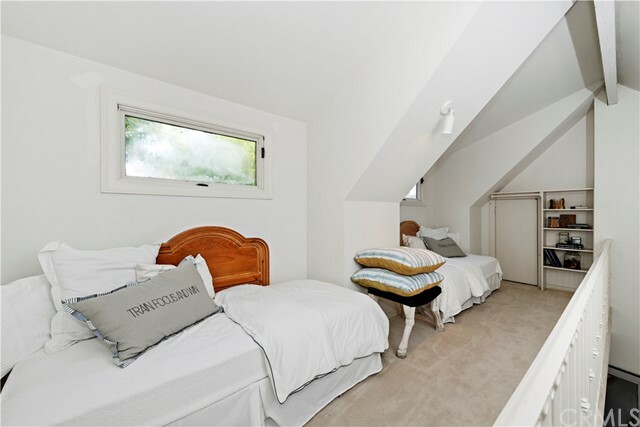 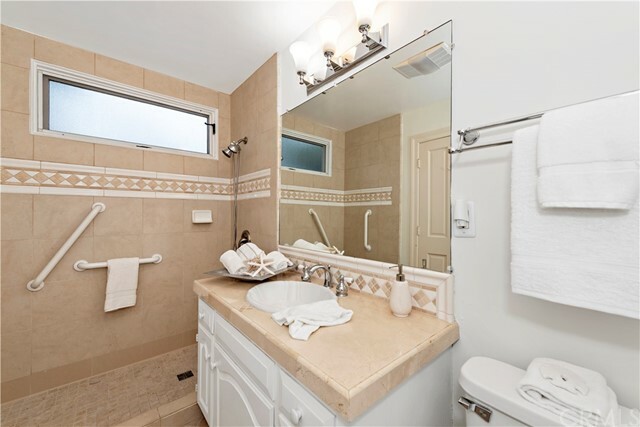 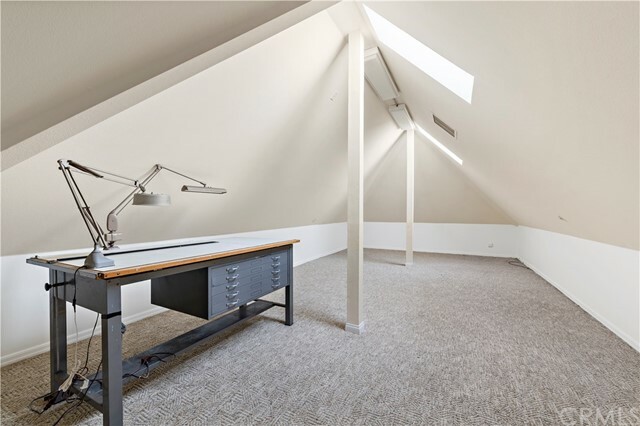 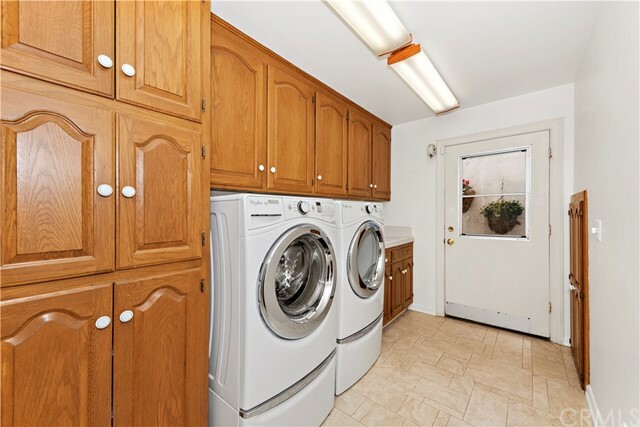 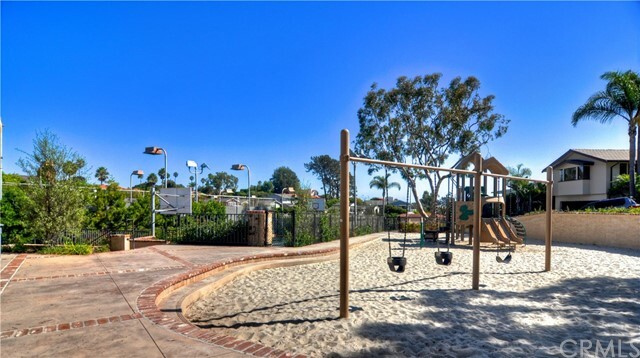 There is a lovely and private, main floor bedroom with en-suite bath and an additional loft space that creates a whimsical sleeping quarters, craft room, play room, etc. 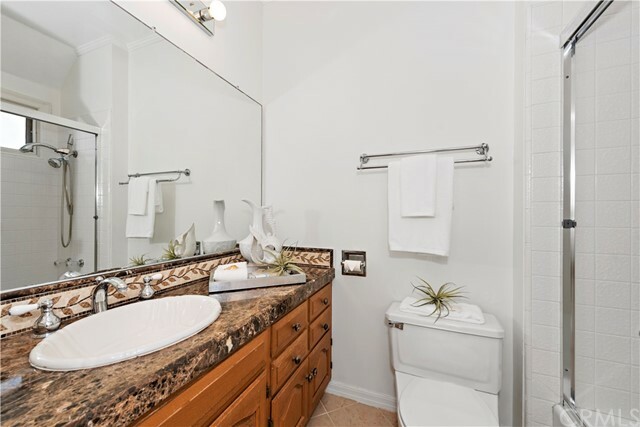 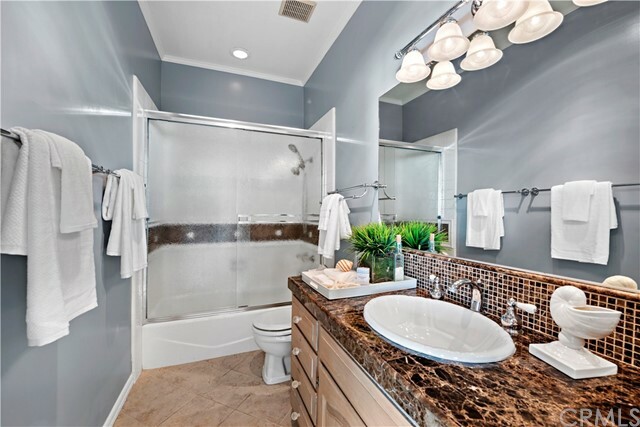 Upstairs are 2 more bedrooms with en-suite baths. 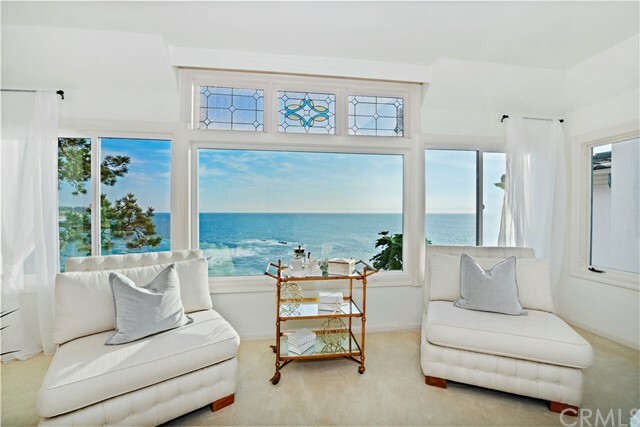 The large master suite offers dramatic and sweeping coastline views with an elegant and romantic feel.